This assessment tool takes individuals and teams to the next level of performance by creating opportunities for awareness and understanding of self and others. 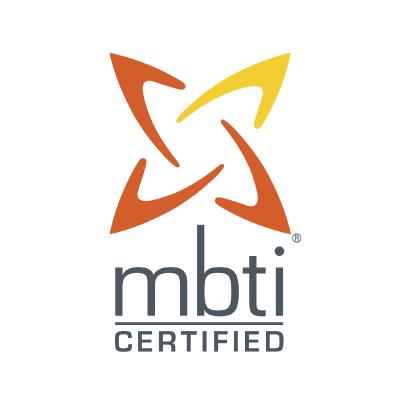 Working with MBTI®, individuals will experience personality type theory and its application in communication, information processing and decision making to get the right work done. Participants will go away with tips and techniques to develop both leadership and teamwork. This tool empowers people to improve relationships and manage conflict more effectively. SDI is rooted in the theory of Relationship Awareness®, a self-learning model for effectively and accurately understanding and inferring the motive behind people’s behavior. This tool is powerful and versatile in workplace environments. The EQ-i can be used by employers (via EQ-i certified users) to provide greater insight when looking for emotionally healthy and high potential personnel. In a career development context, the EQ-i and EQ 360 can be used with current staff to evaluate ongoing functioning and well-being of employees, particularly when this functioning is linked to organizational competency frameworks or other performance metrics that indicate success within a given organization. The EQ 360 can also be useful in group or team development where the multi-rater feedback instrument is invaluable for assessing an individual’s strengths/weakness from a self/others’ perspective (i.e., comparison of ratings from observers together with ratings on the EQ-i ). LEADS 360: The LEADS 360 Assessment is a feedback process primarily for development purposes. It focuses on leadership and takes the capabilities identified in the LEADS in Caring Environment capabilities framework and identifies sentinel behaviors that would be exhibited by front-line, mid-level, senior, or executive level leaders. There are approximately fifty-five questions, each on a seven point rating scale, plus a number of optional open-ended text responses.